Michael Van Hal, M.D. is an Assistant Professor in the Department of Orthopedic Surgery and an Orthopedic spine surgeon at UT Southwestern’s Multidisciplinary Spine Clinic. He earned his M.D. at UT Southwestern Medical Center and completed his residency in Orthopedic surgery, and did his intern year in Keck School of Medicine of USC and later transferred his programs to the University of Pittsburgh Medical Center. He then received advanced training in spine surgery through a fellowship at Harvard Medical School and the Beth Israel Deaconess Medical Center. 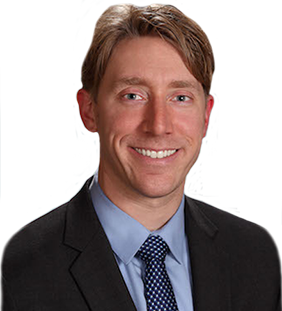 Dr. Van Hal is a member of the American Academy of Orthopedic Surgeons and the North American Spine Society. In 2010 he received the Ho Din Award, for being valedictorian of his medical school class. As an Orthopedic spine surgeon, Michael Van Hal, M.D. treats a variety of spine pathologies, including degenerative conditions, acute disc herniation, fractures, and deformities. The role of Orthopedics in changing people’s lives, often dramatically, is what drew Dr. Van Hal to the discipline and eventually led him to specialize in spinal care. Dr. Van Hal’s goal as an Orthopedic spine surgeon is to get patients the right treatment so they can get back to their normal routine as soon as possible. Whether surgery is an option, with his skill and expertise he can give patients an excellent start to getting back on their feet. Dr. Van Hal’s research revolves around degenerative disc disease and what causes it. He is also helping build a registry system that tracks patients’ progress over time.